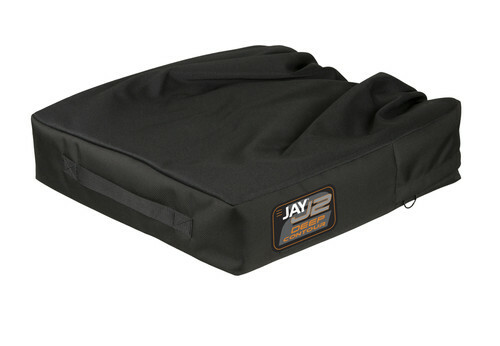 The JAY® J2® pre-contoured foam wheelchair cushions feature a JAY Flow® fluid tripad with up to 3" of loading for superior skin protection and an easy to modify base with optional positioning components for optimal stability. 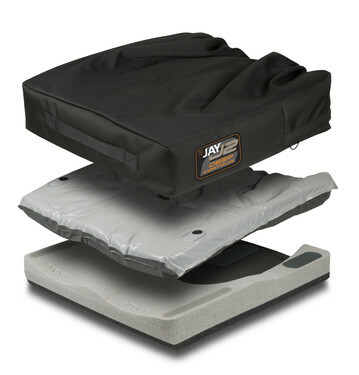 For individuals requiring greater immersion and increased stability, the J2 Deep Contour is a pre-contoured foam cushion that features a 3" deep pelvic loading area, a JAY Flow tripad for superior skin protection, and an easy-to-modify base for optimal stability. The J2 features the JAY Flow fluid tripad, which conforms to each individual's shape, adjusts to sitting positions, and ensures proper fluid placement beneath bony prominences to help protect the skin from breakdown. Its zero-maintenance design delivers superior results throughout the life of the cushion. 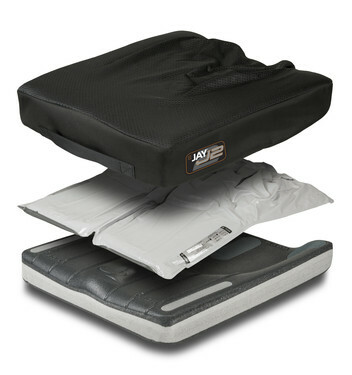 The J2 wheelchair cushions feature a contoured foam base constructed from closed cell foam. This makes it easy to modify in our factory or in the field. Additionally, an extensive selection of positioning components is available. The J2 cushions provide exceptional lateral and forward stability for individuals with changing needs or unique postures. Width Range 14" to 24"
Depth Range 14" to 20"
Weight Capacity 14"-21": 300 lbs.